Are you hungry for more of the Holy Spirit in your life? Are you ready for a personal encounter with Him that will change your life? - Provide journaling space to record your experiences with Him. 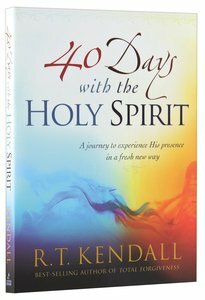 About "40 Days With the Holy Spirit"
Customer Reviews For "40 Days With the Holy Spirit"
The best I have read in a long time I highly recommend it.